Nov 06 Comments Off on Oral Sedation Dentistry: What It Is & Why You Need It? Oral Sedation Dentistry: What It Is & Why You Need It? Oral sedation dentistry is a kind of dental solution which is provided to those people who feel afraid or anxious about having a traditional dental treatment. In fact, oral sedation dental solution will perfectly befit on who can be claimed as “Dentistophobic”. Since it has something to do with the psychological part of our existence, professional dentists around the world apply such “consoling” and “comfortable” ways with which a person can easily overcome over all of their dental treatment related fears and misconceptions. Once you overcome your fears, there is a great prize awaits you on the other end: A lifetime of precise and best dental and oral health as long as you live. So, in this article, we will be enlightened by the expert advice of the renowned and most favorite dentist in Los Angeles Dr. Shervin Louie, who will tell us how oral sedation works and what is the benefit for us in it. Understanding The Importance Of Oral Sedation: How You Will Overcome Your Fears & Anxieties? Open up all of your fears, anxieties, troubles, and phobic feelings to your dentist in soothing and calm environs. Have faith and trust in your dentist by realizing that “if I ever get a dental or oral trouble, this person is always there to help me out”. See your dentist as your angel in dark hours. Develop a listening relationship with your dentist so that you may start to take control over your fears and feel confident/safe. Once you get along in the initial stages, the next phases of your visit to your dentist in Los Angeles become easier for you as your dentist will either provide you further advanced oral sedation or some anti-anxiety pills to reduce sudden bursts of anxiety while having a treatment in future. The sedatives will help dissolve your anxiety points and you will feel much better and confident about having a dental treatment. Overcoming Fears Is Important: Why You Need Oral Sedation Treatment? The biggest problem in receiving a dental treatment is the fear of it. The sense of fear in your brain lessens your tolerance of pain and makes you hypersensitive to every sensation and touch. It is a natural process of our brain whenever we fear something to either release chemicals to pump up our adrenaline or lessen it for us to take flight. So, it is imperative to kill that tiny force which tells us that we will be hurt when a dentist will touch us with his tools, thus brain hardens your muscles. The good thing about all of this is that it can be completely eliminated via the use of oral sedation dentistry. “A proper oral sedation by a certified dentist ensures that you feel completely relaxed and comfortable before and after your dental treatment,” says Dr. Shervin Louie, a renowned dentist in Los Angeles. With the help of proper oral sedation ways, your situation of hypersensitivity and apprehension will come under control and you will feel at ease while getting dental treatment. 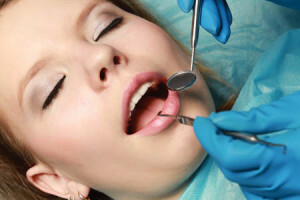 Oral sedation dentistry is nothing more than anxiolytic medication and a verbal support for the patient who suffers from continues fears and anxieties about dental and oral treatment. So, take help from your dentist before it gets much worse and painful for you without getting the treatment for your ailment.